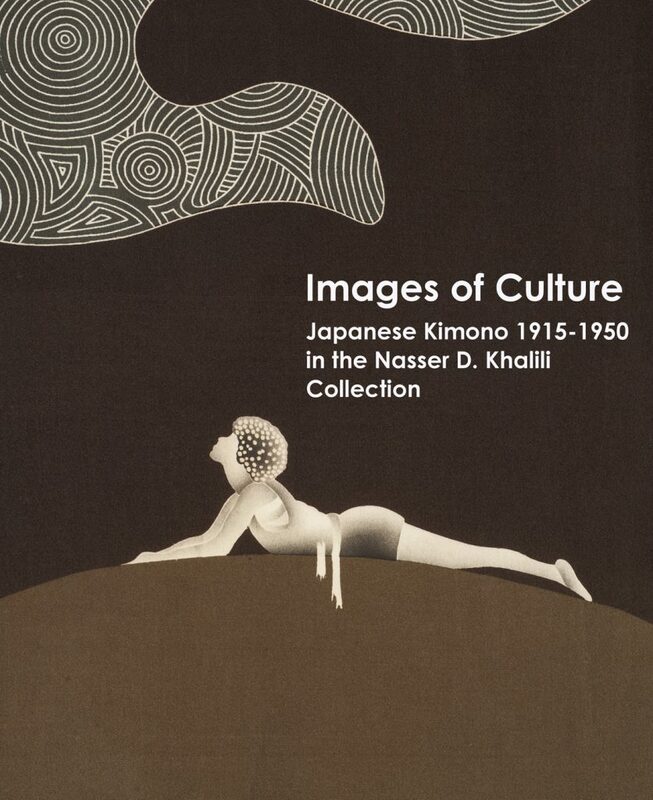 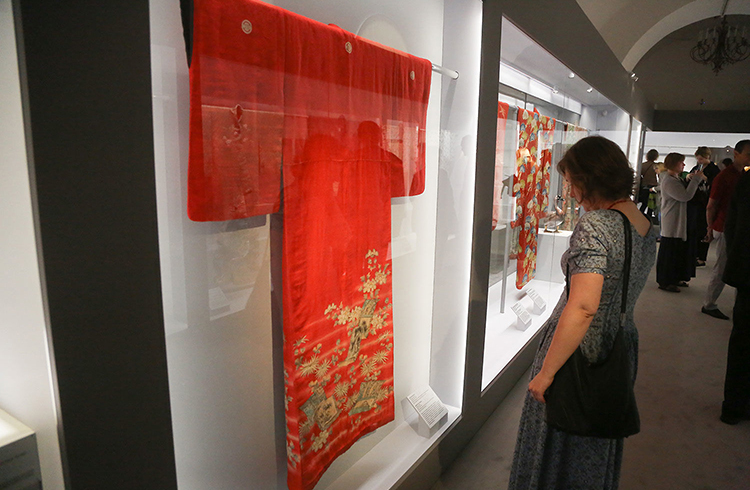 The Khalili Collection of kimono comprises more than 450 garments and spans three hundred years of Japanese textile artistry. 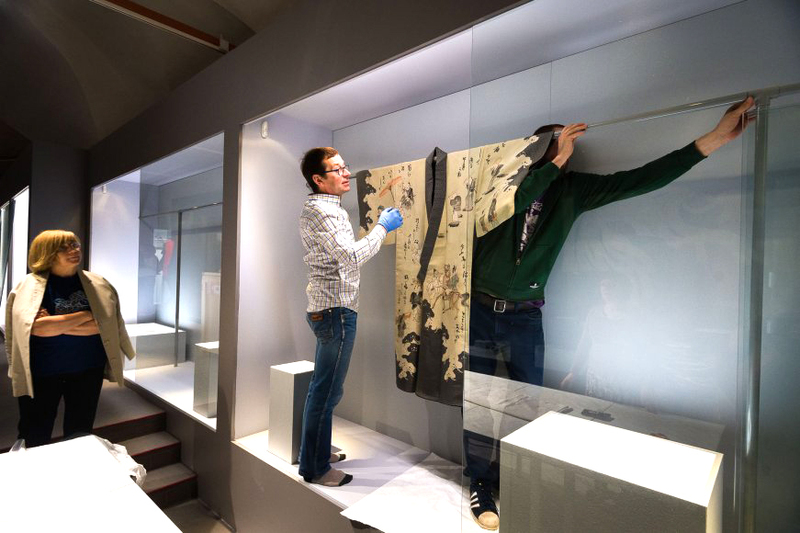 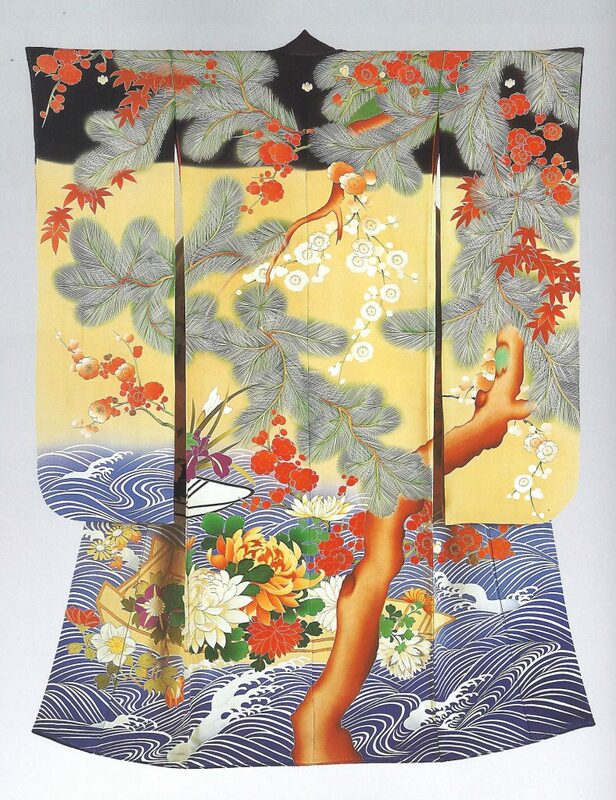 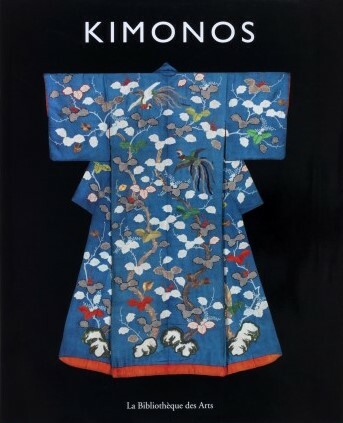 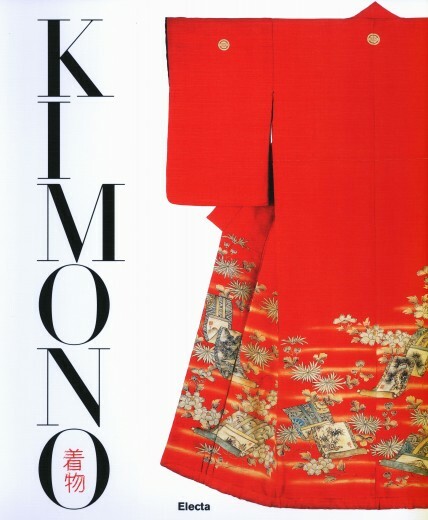 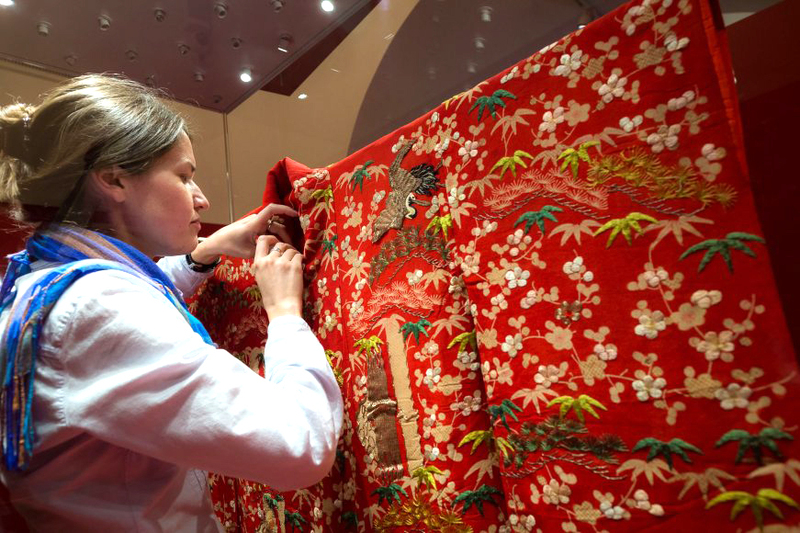 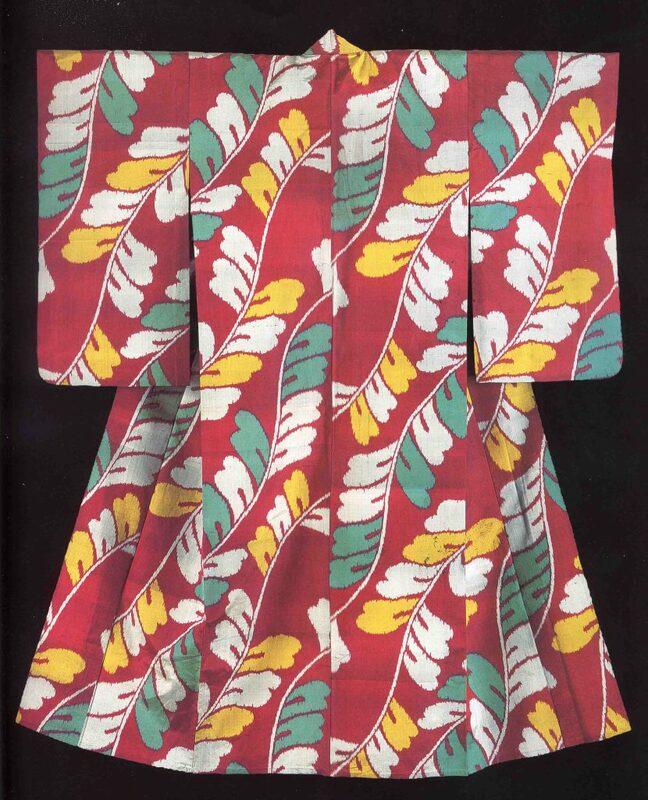 It is one of the world’s most outstanding private collections of traditional Japanese kimono. 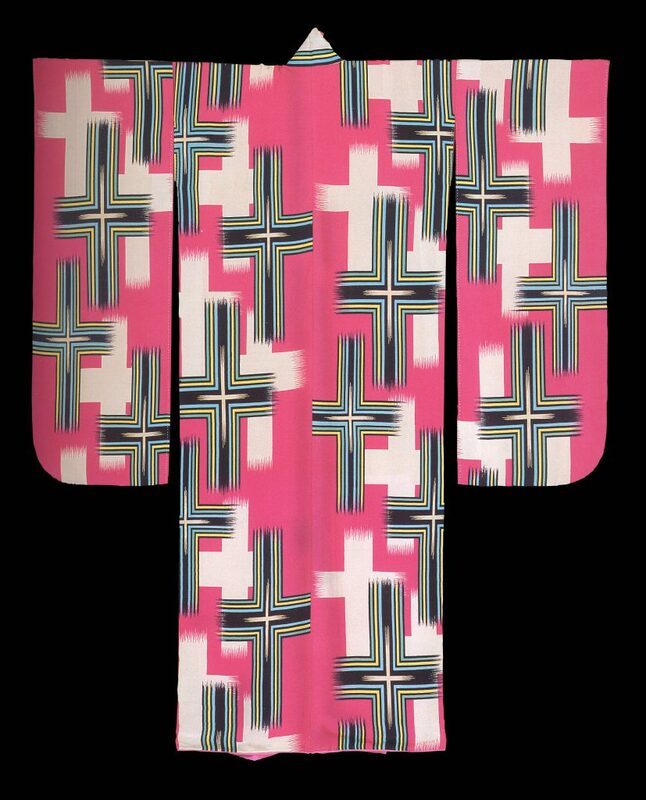 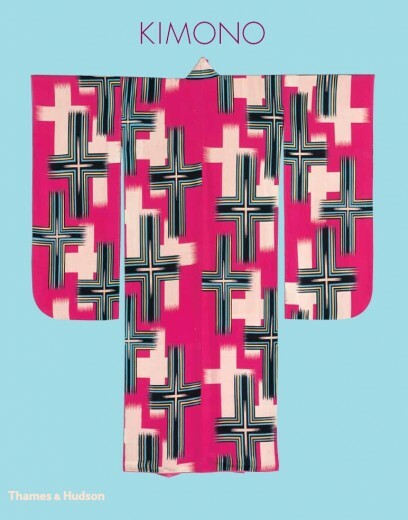 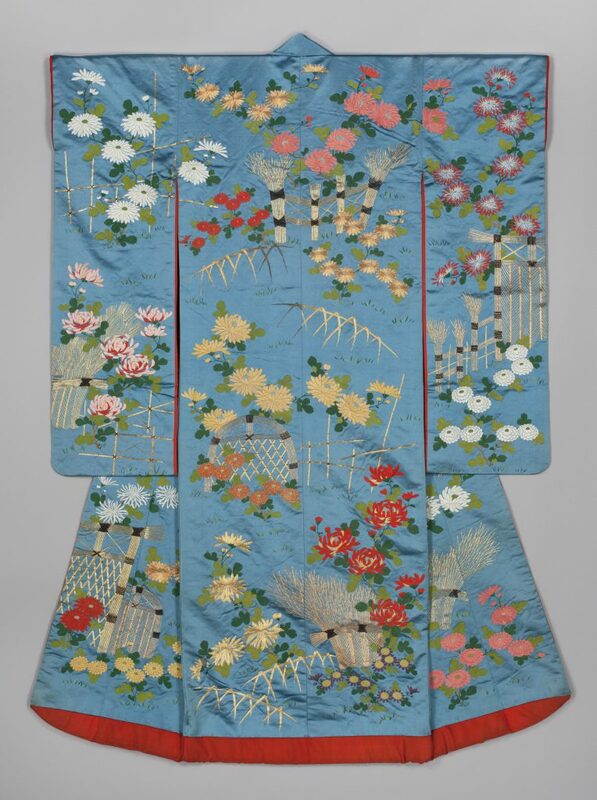 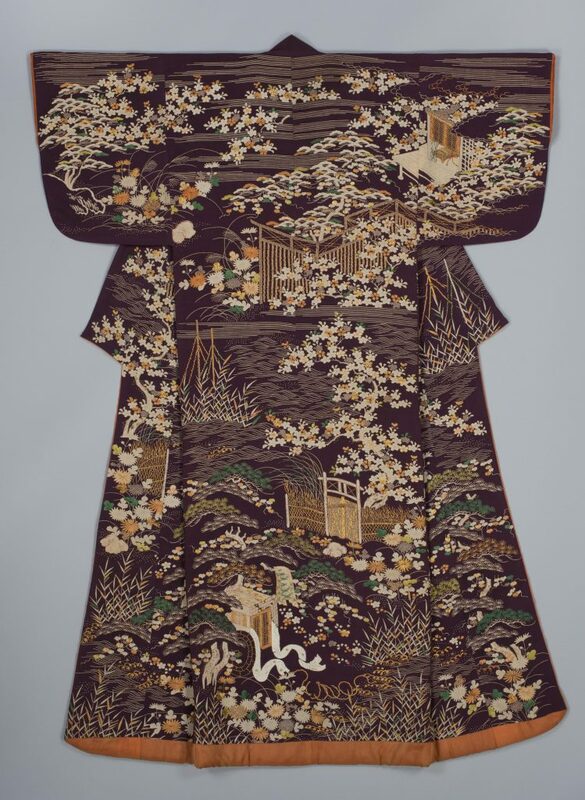 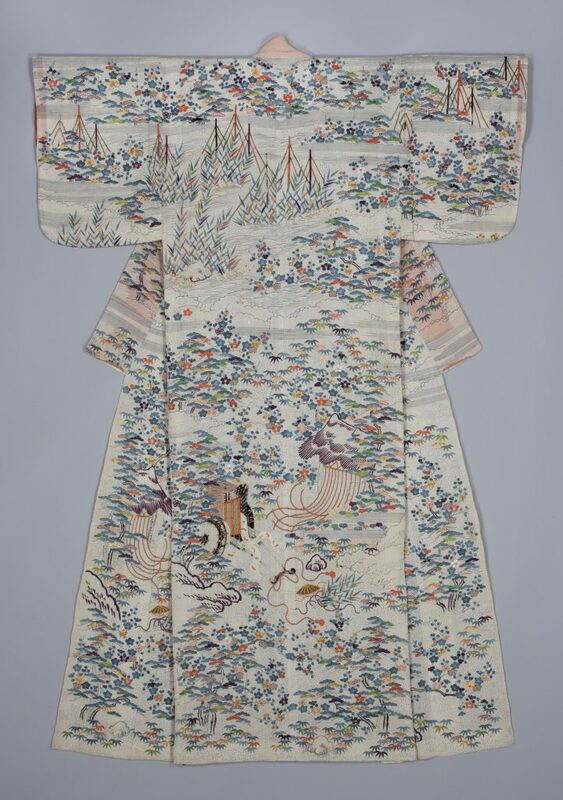 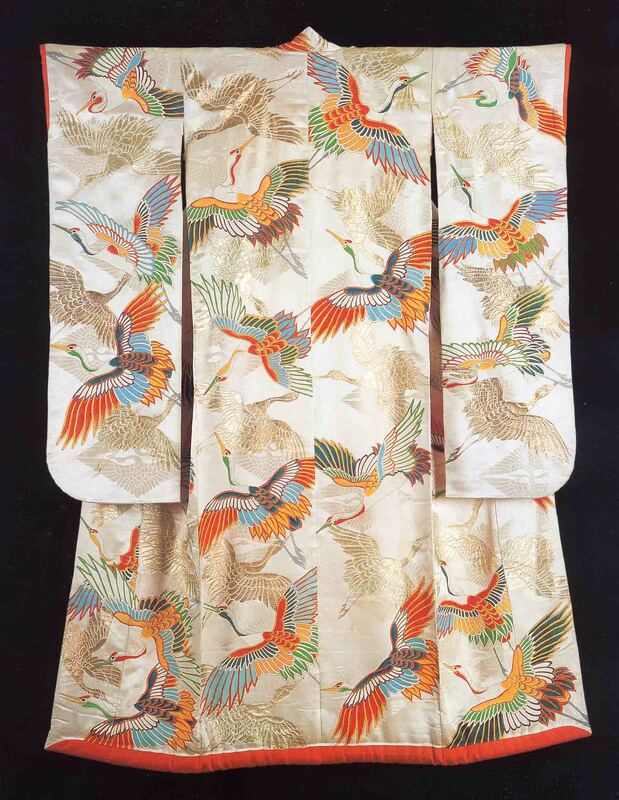 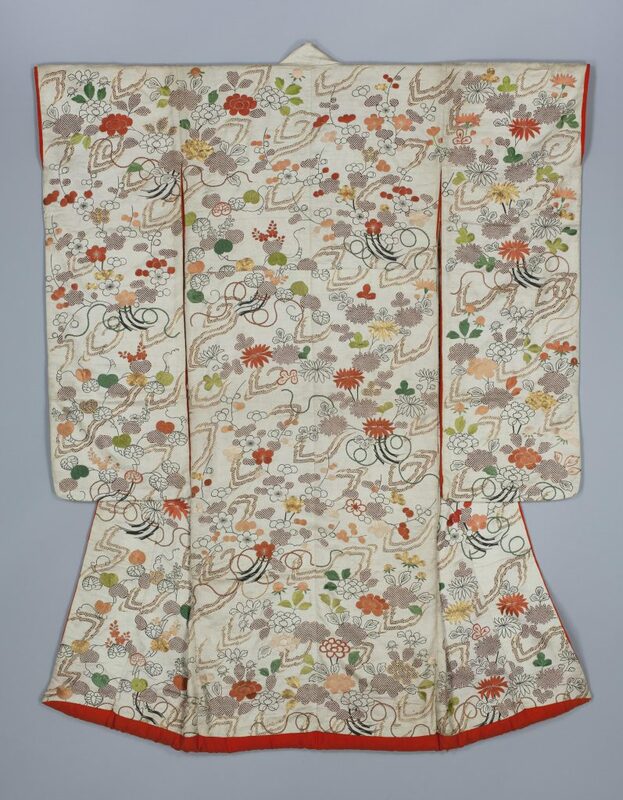 The form of the T-shaped, straight-seamed, front- wrapping kimono has changed very little over the centuries, yet the Collection reveals an astonishing variety of designs. 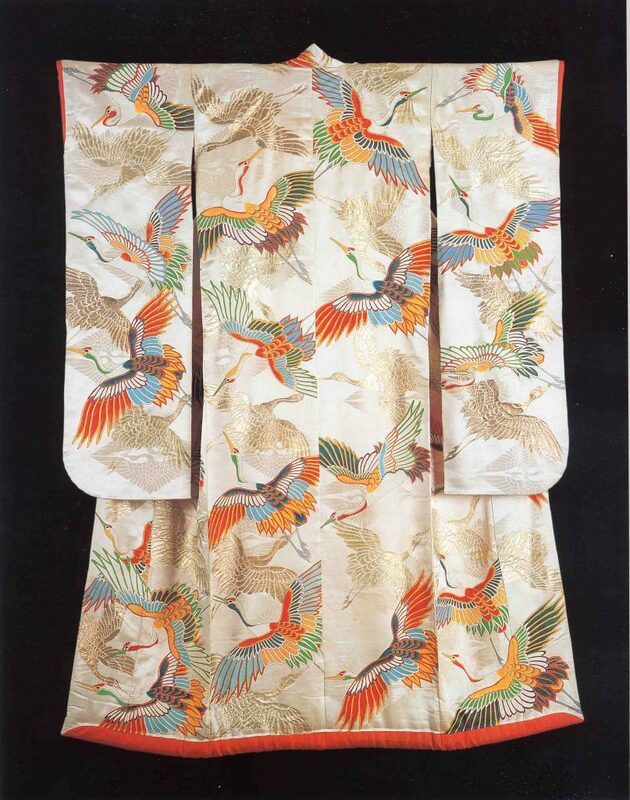 In Japanese dress it is the surface decoration, not the cut and construction, that is important and indications of gender, age, status, wealth and taste are expressed through the choice of colour and pattern. 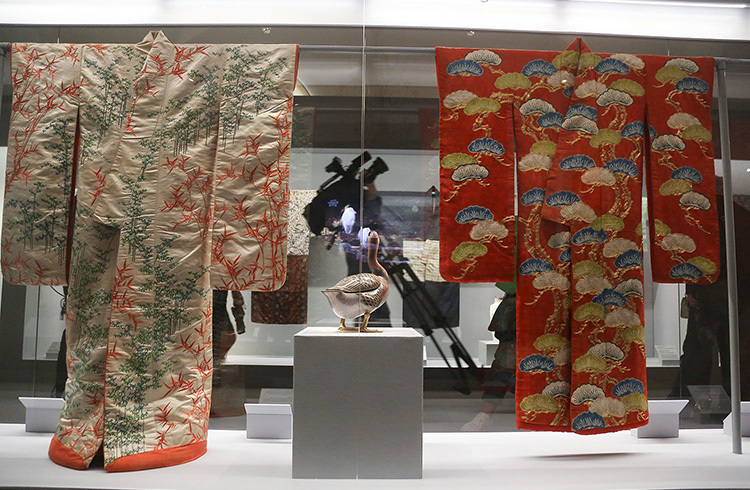 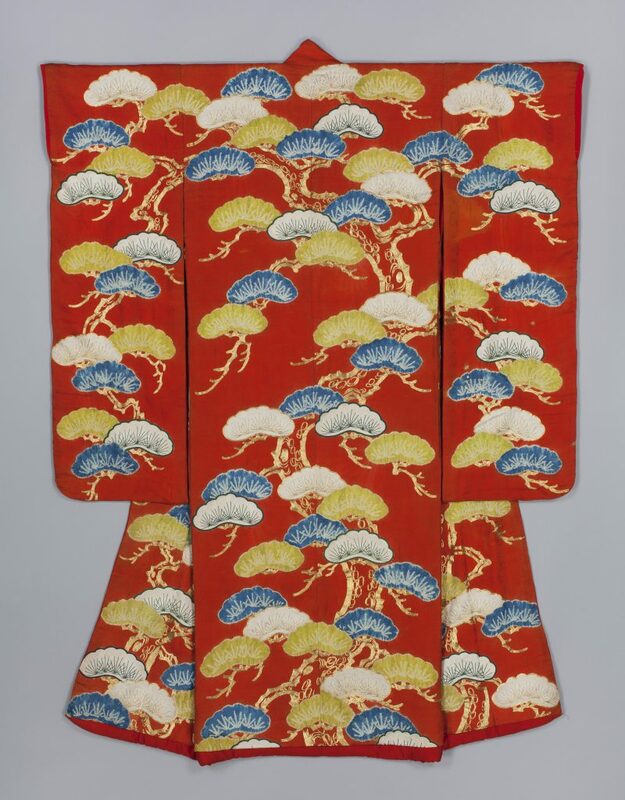 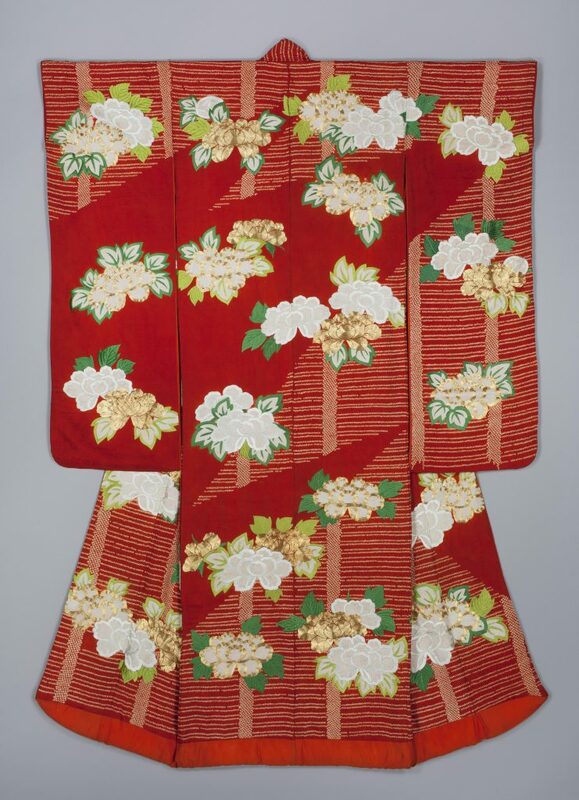 Represented are the sophisticated garments of the Edo period (1603–1868); the shifting styles and new colour palette of Meiji (1868–1912); and the bold and dazzling kimono of the Taisho (1912–26) and early Showa (1926–89).